The first 15 mentees from Fay Sharpe's Fast Forward programme 15 graduated on 29 April, with all mentees achieving their goals and improving their career prospects. Every mentee was assigned a mentor from the industry, who was trained by coaching and career performance expert Ishreen Bradley of Bizas. The Langham Hotel hosted the graduation ceremony for 110 guests, which saw high profile industry guests from agency and venue partners, charities, academic institutions, corporates and media, come together to acknowledge and celebrate the achievements of the mentees over the course of the year. Successes have ranged from improved career prospects and role promotions, through to increased levels of confidence and a greater understanding of personal and professional goals. Speaking at the event, Sharpe commented that she launched the scheme after reading an article in C&IT, stating that 73% of women felt there was a ‘a glass ceiling’ at work. Asked if she felt parity had been achieved she said "there is a long road ahead". "The commitment and dedication from both the mentees and their mentors has been a pleasure to experience. We have surpassed our aims and objectives in our inaugural year and I am delighted to witness our first group of mentees graduate with flying colours." The scheme, which was launched for women in 2015, attracted 139 applicants in its first year, beating the original target of 100. 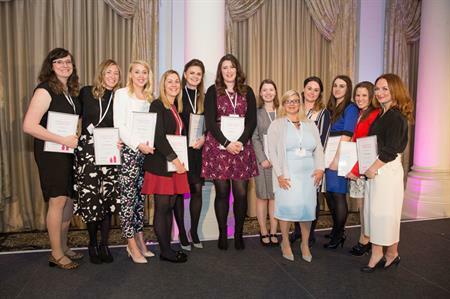 The scheme received applications from women at all different levels in their careers, including maternity leave returners, aspirational board directors, corporate event professionals, middle management, and budding entrepreneurs. The idea behind the scheme was to promote confidence at work amongst women, and encourage them to climb the ladder. This year several new mentors have been chosen including Kevin Jackson, director at new agency The Experience is the Marketing; Robert Quayle, meetings leader and head of events, UK Marketing Company - AstraZeneca UK and Tracy Halliwell, director of business tourism and major events for London & Partners. Emma North, project director at The Black Tomato Agency, said: "After my year in this programme, I know what kind of career woman I want to be and I know what career I want." Rebecca Goodman, events specialist at Ageas UK, who achieved all three career and life goals, said: "Write your goals down and you stand a much better chance of achieving them." At the event there was a standing ovation for Steve Brown, GB wheelchair rugby captain and former hospitality industry employee, who gave a keynote on not being afraid to ask for help. He will also be a mentor to this year’s group.